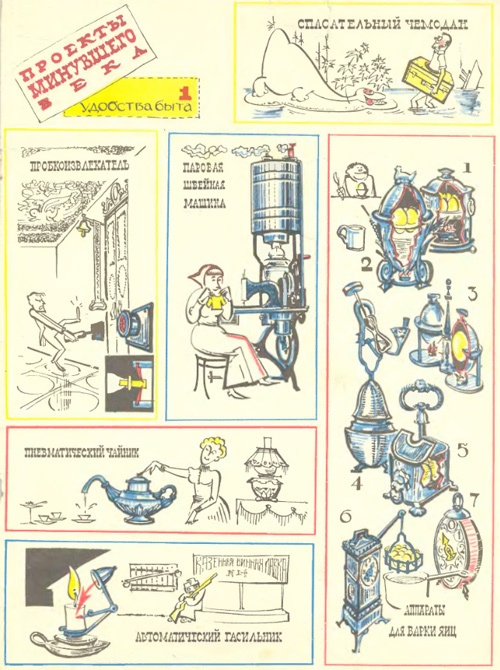 I’ve been leafing through some old Soviet science and technology magazines, and came upon this cartoon mocking inventors of the yesteryear. There’s a trunk-lifesaver, steam-powered sewing machine, a built-in bottle opener, an automatic candle extinguisher, a variety of ridiculous looking egg cookers, and … a pneumatic tea kettle, which in one shape or another can be found in just about any coffee shop, catering hall and cafeteria these days. 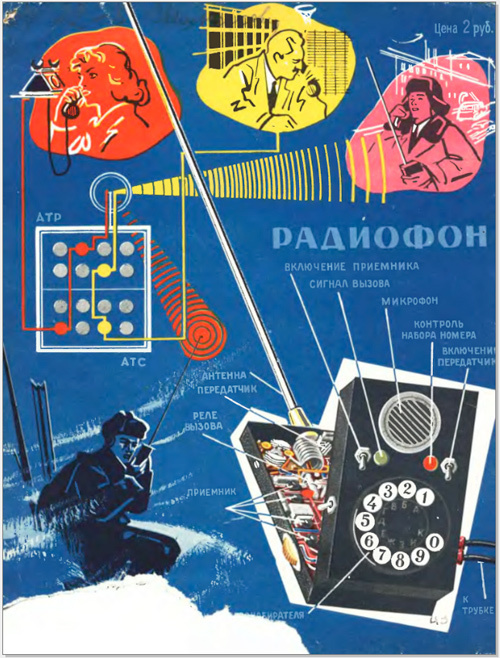 Also in the mix – what they imagined a cell phone would be like in the 70s.